Food safety regulations are evolving year-on-year resulting in more stringent norms. These have raised concerns on agricultural sustainability and security of future supply, particularly for countries like India with inherent problems in the agricultural landscape. Also, there is a rising demand for produce that is cultivated in an environmentally and socially responsible manner. 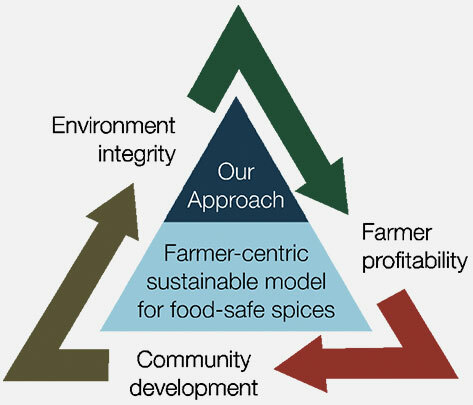 In this scenario, a deep commitment and capability is required to implement integrated farm management initiatives to align production with desired market attributes and ensure supply security. Most Indian farmers own small landholdings and agriculture is their only source of income. 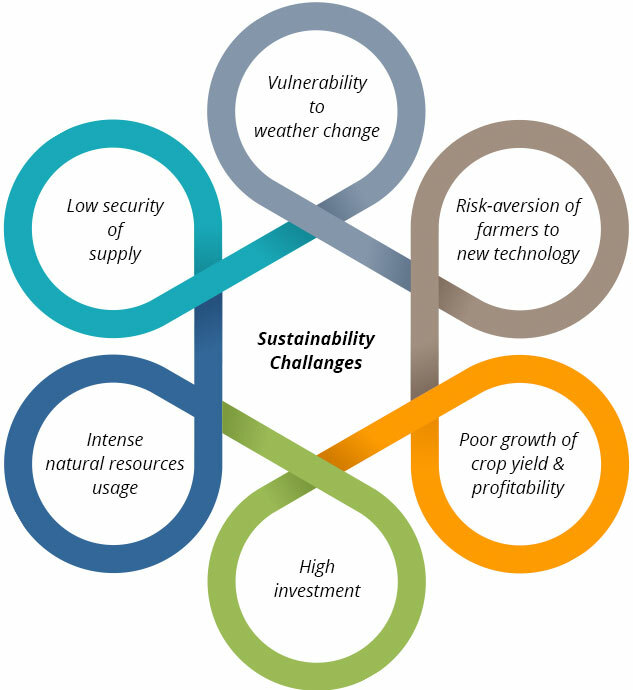 They face multiple interrelated challenges that squeeze profitability and diminish their competitiveness in the global market. The success of large-scale farm sustainability programmes in the Indian landscape depends on farming initiatives that have immediate tangible benefit for farmers. ITC Spices undertakes full-scale farm interventions that engage farmers across the crop life - cycle - cultivation to harvest - with profit accountability. Customised programmes enhance profitability through yield improvement, reduced cost of cultivation and improvement in quality of produce while ensuring environmental and social sustainability. ITC Spices has adopted the 'proof-of-concept' model to demonstrate the benefits of suggested sustainability initiatives. Demonstration plots along with control plots help risk-averse farmers to understand the benefits and promote adaptability on a large-scale. Since the majority of Indian farmers own small landholdings, ITC Spices has developed a village adoption model wherein it aims to bring in all farmers in selected villages as participants in its multiple interventions to achieve economies of scale. By involving larger numbers of farmers, the interventions generate greater impact, significantly contributing to social sustainability while promoting environmental sustainability. ITC Spices' village adoption strategy combined with its solution matrix amplifies the replicability of its model and contributes vitally to ensuring a reliable and consistent supply of high quality, food safe Indian spices. ITC Spices puts in place farmer-centric initiatives which simultaneously ensure environmental integrity and promote community development. The initiatives are geared towards supporting sustainable livelihoods and enhancing the competitiveness of the larger value chain of which the Company is a part.